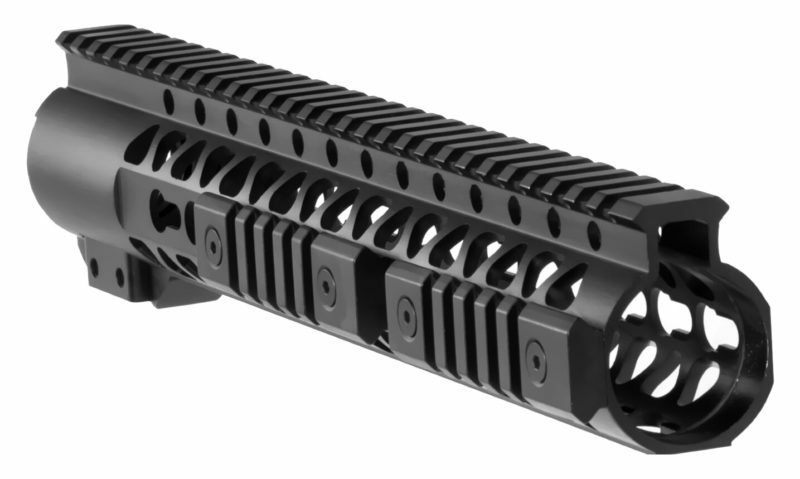 The Atlas AR15 Keymod Free Float Rail features a slim profile for improved ergonomics and weight savings. With a static top rail optimized for mounting optics and multiple contact points for a hex key mounted modular rail system on the sides and bottom, the Atlas Rail is the ideal solution for any AR15 owner looking for speed and mission flexibility. It uses a hex key secured barrel nut clamp and proprietary barrel nut for even more weight savings and easy installation.